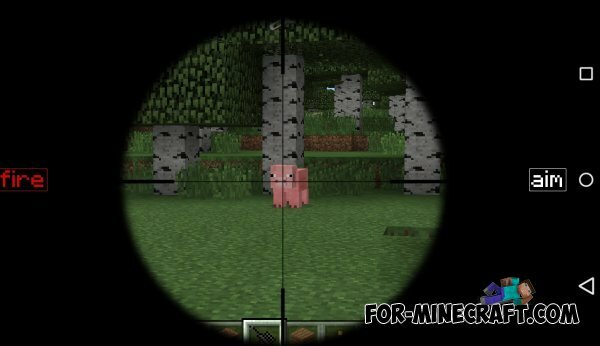 This is the coolest a weapon mod for Minecraft. With this mode the game will be over 50 different guns very steep. 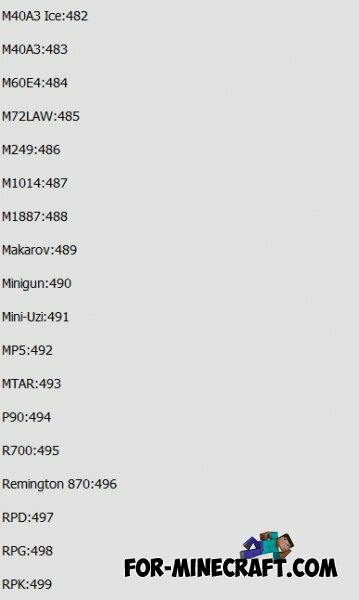 Basically it will be a variety of automatic rifles, rifles and pistols. 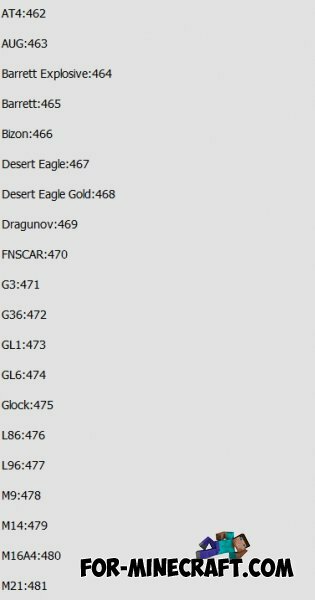 All these weapons are easy to add using his ID, which you can view below. 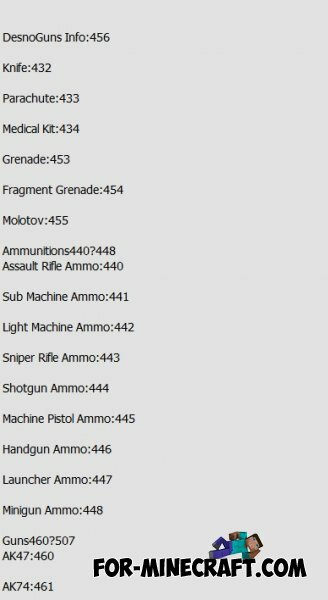 In addition to pistols and submachine guns, mod adds a very steep grenades. You can from several grenades to make one, but very powerful. 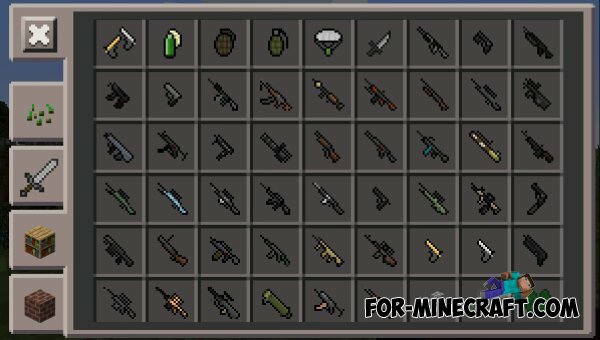 In addition to the weapons, you can also add a lot of other things. For example, you can be crafted using a parachute and it can be safely lowered to the ground from a great height. You can also crafted a first aid kit that does not just save your life. How do we get the mod?